Have you ever heard about Two Pesos before? 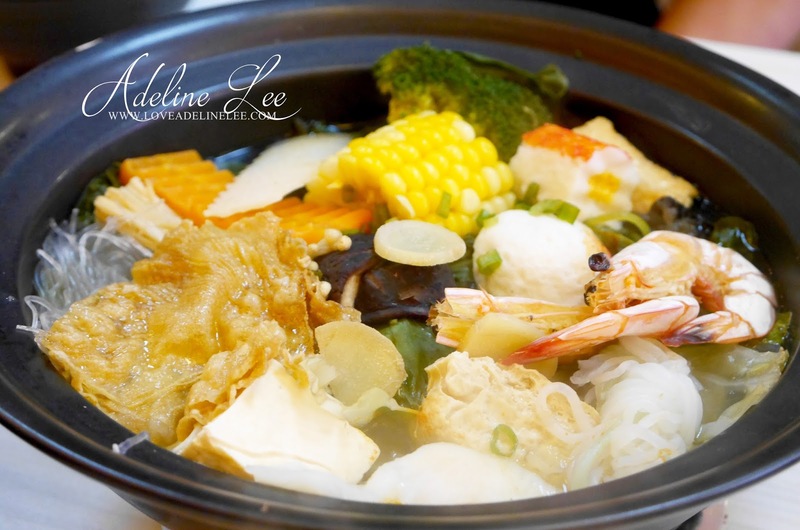 Two Pesos is a Taiwan mini steamboat and hot pot restaurant located at the busy street of SS2. The name of Two Pesos is actually come from the Philippine currency, it is also referred to as peso. It is the official currency of Philippines. 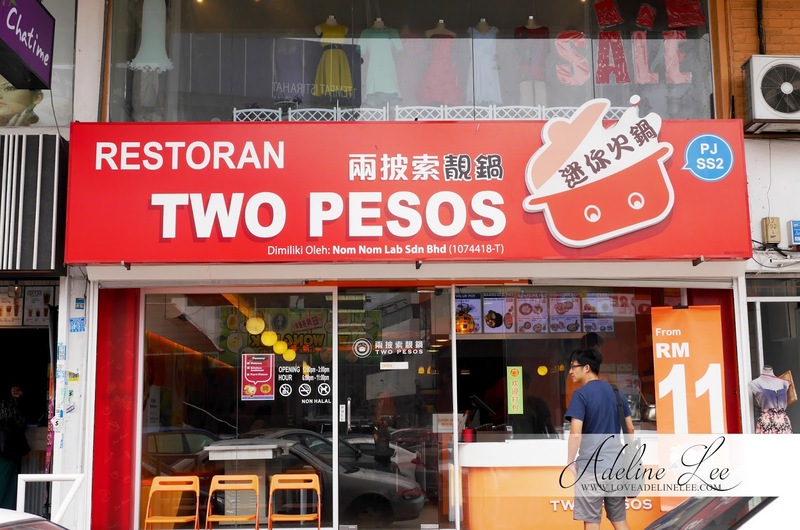 Two Pesos is originated from Taiwan and this is their first branch in Malaysia. It is a kind of oriental fast food. 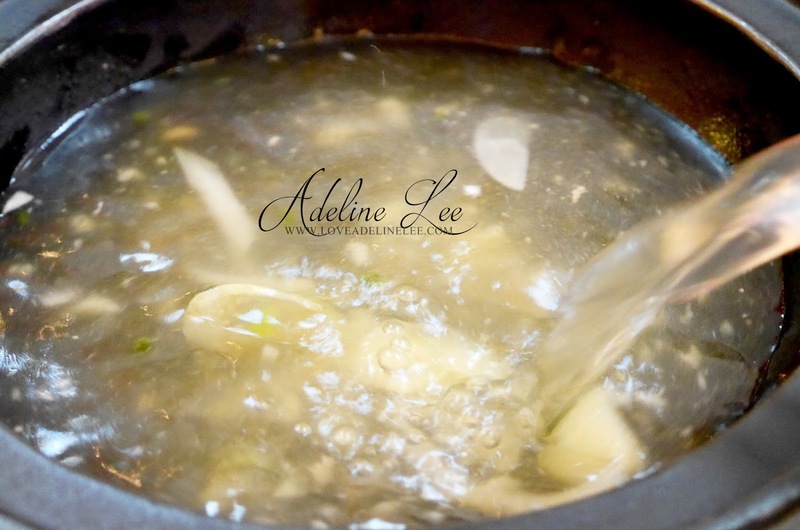 The soup is invented by an award winning chef, Ben Chen. 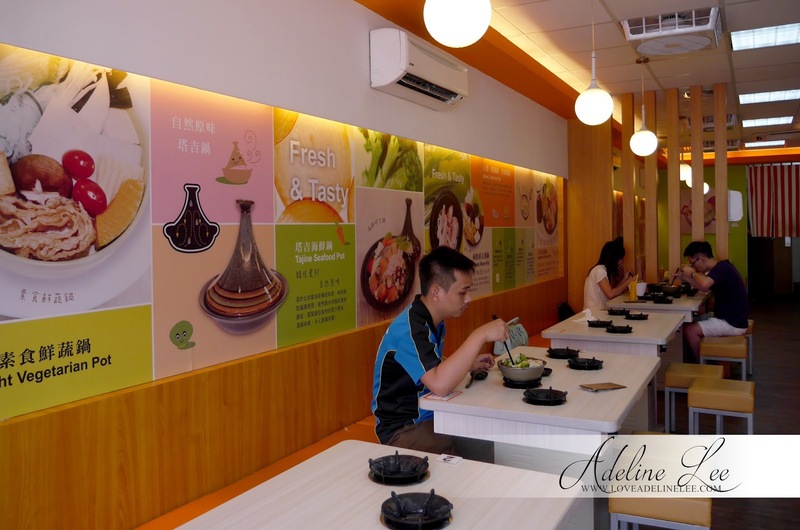 The interior of the restaurant is well designed into welcoming orange color. 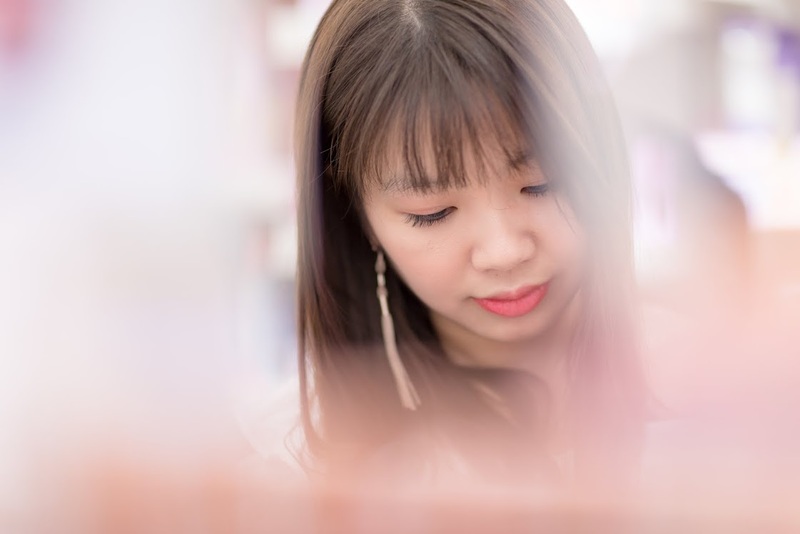 I feel warm and cozy when I first stepped into the restaurant. Every tables are attached with 4 small stoves. There is also a self-service counter that allow you to refill your soup. You need sauces? No worry! You also can mix yours on the counter too. Everything is self-service here. 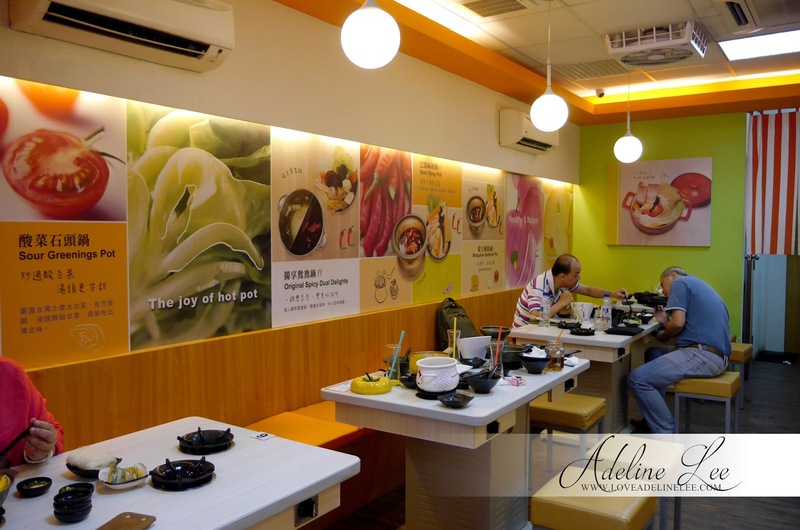 I have tried their signature Two Pesos Stone Pot which carries the nostalgia of Taiwan traditional delicacy. This stone pot is popular amongst 70th century. 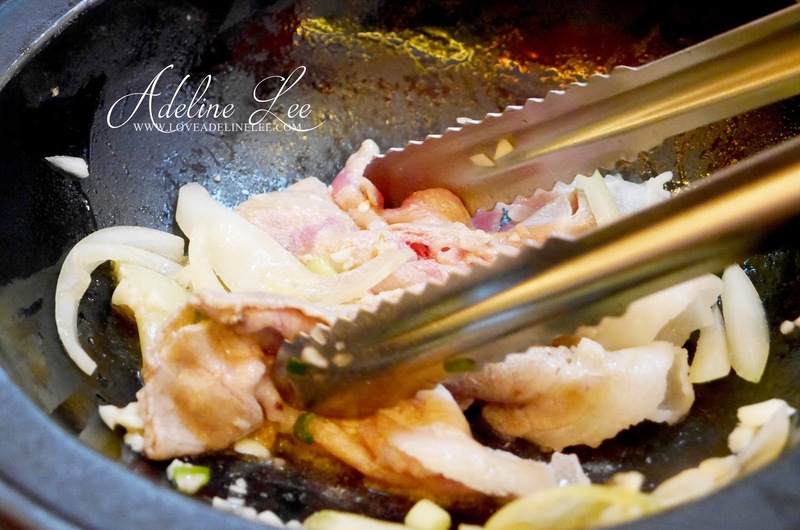 Pork slices are stir-fry in a special cast iron pot with traditional handmade sesame oil, sweet onion, green onion, garlic and white sesame seeds. The staff will assist you to help you stir-fry. This is because they want to make sure the pork slices are well cooked to a specific level. Next step, the staff will take out the half cooked pork slices from the pot. 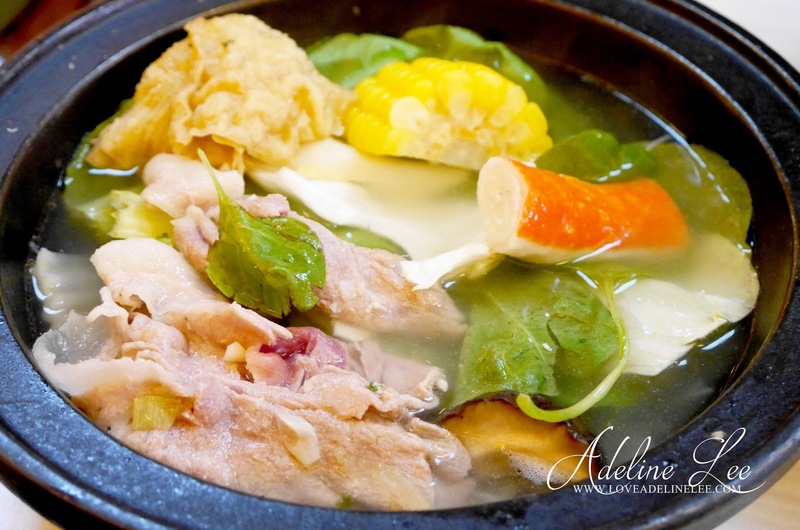 The chicken soup is being poured into the pot until it boiled and then you can cook your pork slices, vegetables and other ingredients. The pork slices are generally juicy. The strong aroma came out instantly when it is stir-frying. 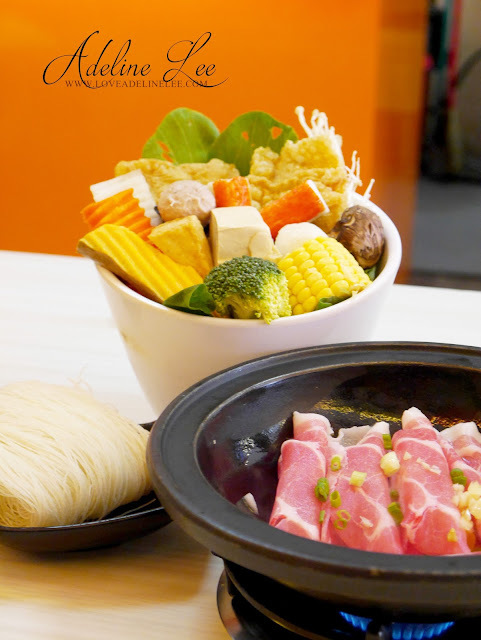 Introducing the new hot pot in Two Pesos which is Two Pesos BBQ Pot. Some people might like to have 2 in 1 style and I guess this will be your best choice. Two Pesos provide you with the best experience of BBQ and steamboat all together tag along with Two Pesos bestselling chicken soup. 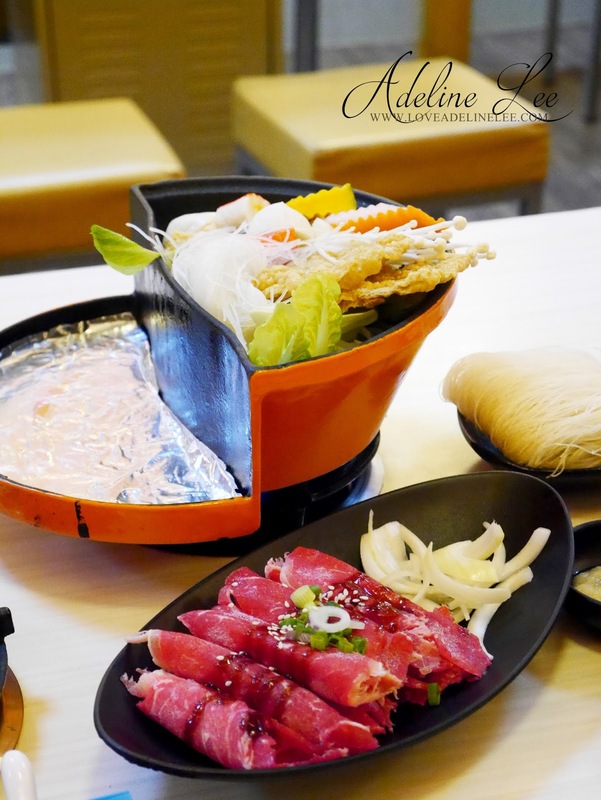 It is served with hand sliced meat with strict selection of meat. Barbeque it with their special barbecue sauce and cooked it to the perfection. It is good to eat it with a bowl of rice. 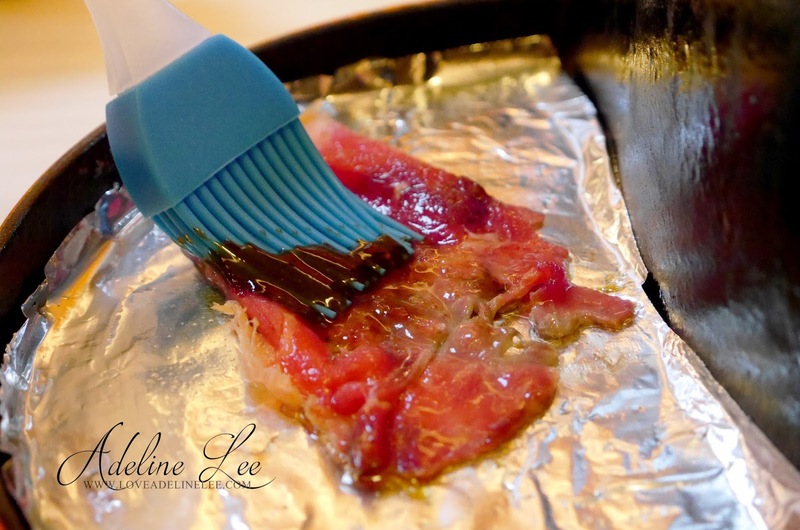 This BBQ pot will definitely make you full of happiness. 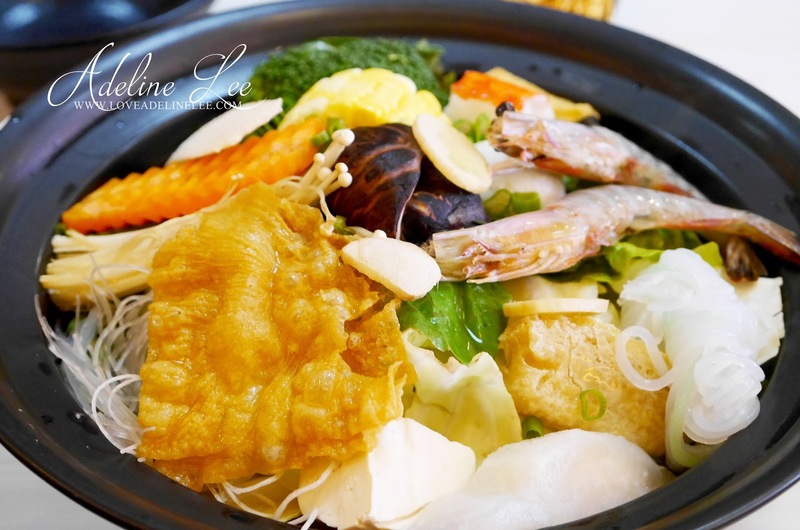 Another mouthwatering seafood pot, Tajine Seafood Pot. All the ingredients are being placed in a very unique tower look-liked ceramic pot. It is originated from South Morocco classic cuisine, by implementing the theory of heat circulation in a tower. It is able to preserve the water content in the food materials and extract the original moisture and tasted of the ingredients. There is a way to eat this seafood pot. The bubbles will came out around the lid when it is boiled. Next, turn off the gas and wait for 3 minutes. After 3 minutes, open the lid and you can smell the seafood aroma immediately. All the seafood is fresh and you can really taste the original and the natural flavor of seafood. It is full of natural nutritious. Lemon Seafood Pot is specially designed by Two Pesos Master Chef team. 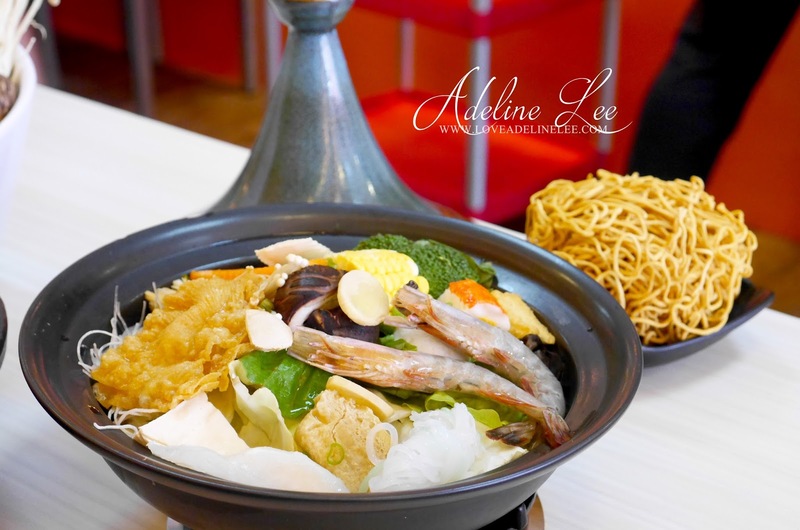 This Lemon Seafood Pot is set to be the ultimate fusion of European and Thai experience. The combination of sweetness, sour and light spicy sensation in the soup that served in a cute Hello Kitty pot make my dining experience in Two Pesos to the whole new level. 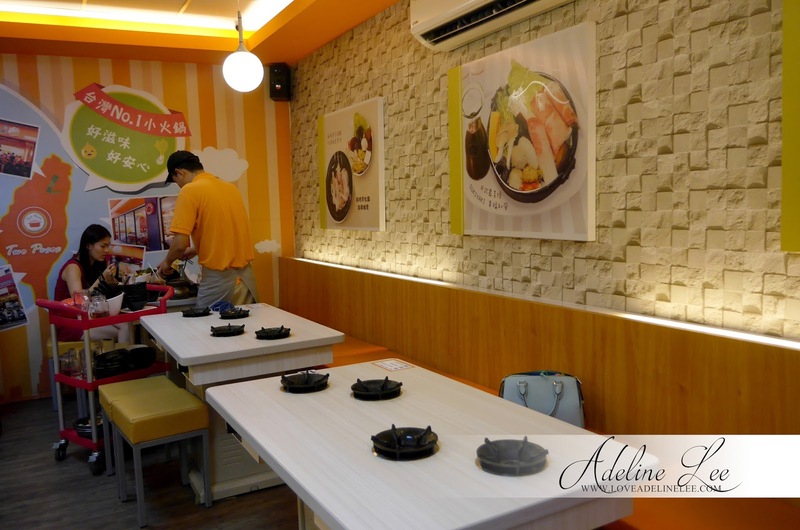 Variety of choices of hot pot served in Two Pesos is the attraction in the restaurant. What a great experience dining in Two Pesos. I would definitely recommend Two Pesos to my friends and family especially for those who like to have their steamboat privately. 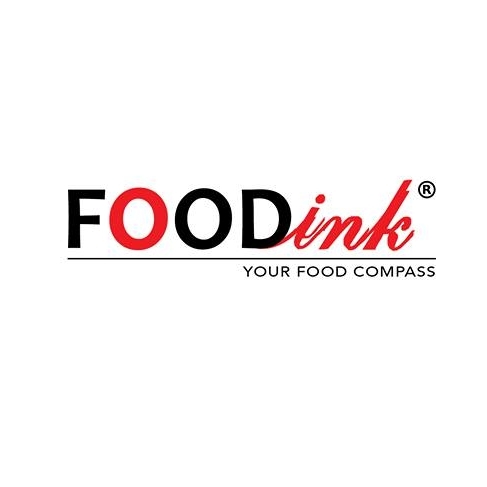 this place no go before but after seeing the food. Thanks babe! <3 Try it out! You will love it! Haha! Not la. its from the Philippine currency. 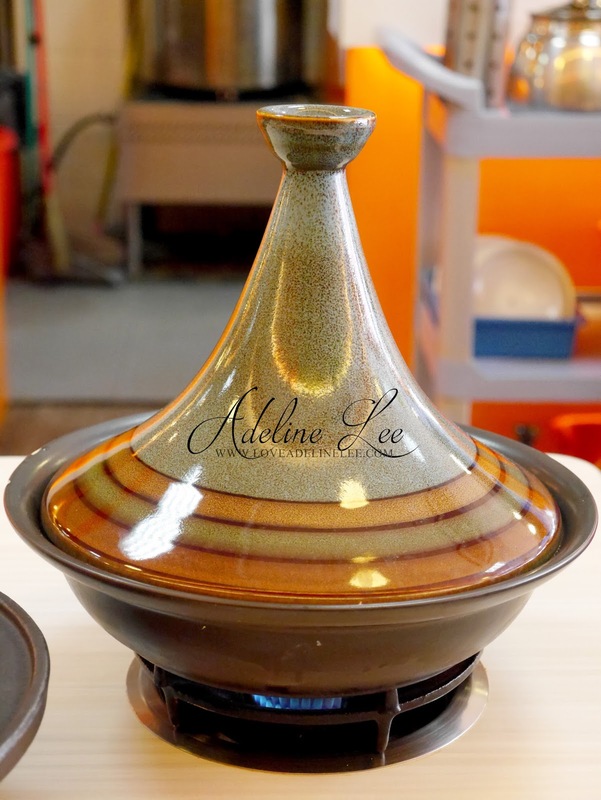 Been hearing lots of good review bout it but i hadnt tried it before...the tajine pot looks so cool eh! Try it one day! You will love it! Not really fond of soupy stuff, but this one looks interesting. Hehe! You should try it! Pretty pictures! Love the pictures and the write up. :) I have tried the one in KD, loved it! The place looks great and the food looks tempting. Will share with my friends that are food hunters. 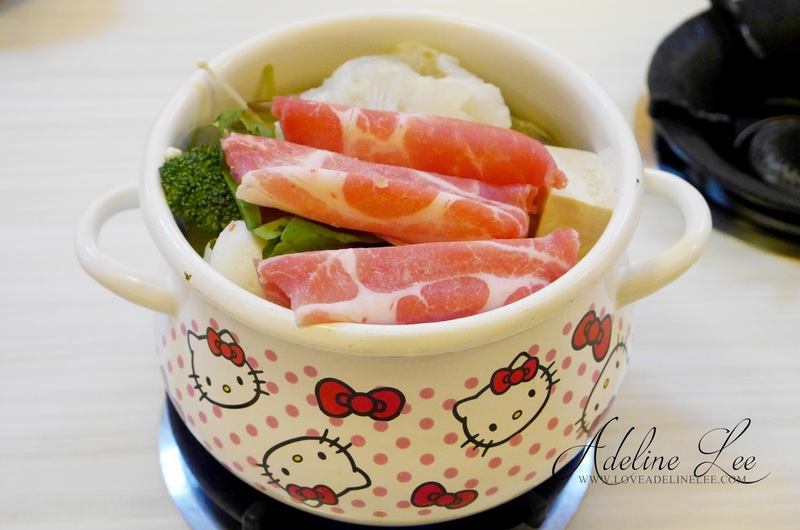 I love the Lemon Seafood Pot as got Hello Kitty. So cute and I'm sure my Little Angels will love the food too. Bring them to try! They will love it! Ya! Its sooooo yummy! Have to try it! oh yum yum Two Pesos Stone Pot look great !! Yayay! I like that too! This is my favourite mini steamboat place too. The price is reasonable. 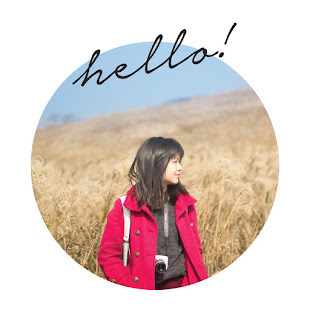 you just reminded me i haven't blogged this place yet. Went to eat the other day, really really nice. Oppss. you have to blog now. I like their hot pot. I know this! Everytime I pass by sure a lot of peple is queue up. Wondering how was the price range? Never tried this restaurant before. The food looks delicious. You should try it one day. Ya. they purposely served in this pot. I know you will like it! Very nice right? :D It has become my favourite steamboat restaurant! Part of it is because it's affordable and non-buffet lol.